Signs A Dog Is Dying. What to Look For and How to Read Them. There are so many things you’ll have benefited from by owing a dog – keeping fit and active, improving your social life, and reducing stress. All thanks to many years of love and companionship that fills your life and your heart. Sadly there may come a day when you have to question whether or not to intervene in when your dog’s life will end. If you can recognise signs a dog is dying then you’ll be better prepared to cope with this possible heart-breaking decision about having to put your dog to sleep. 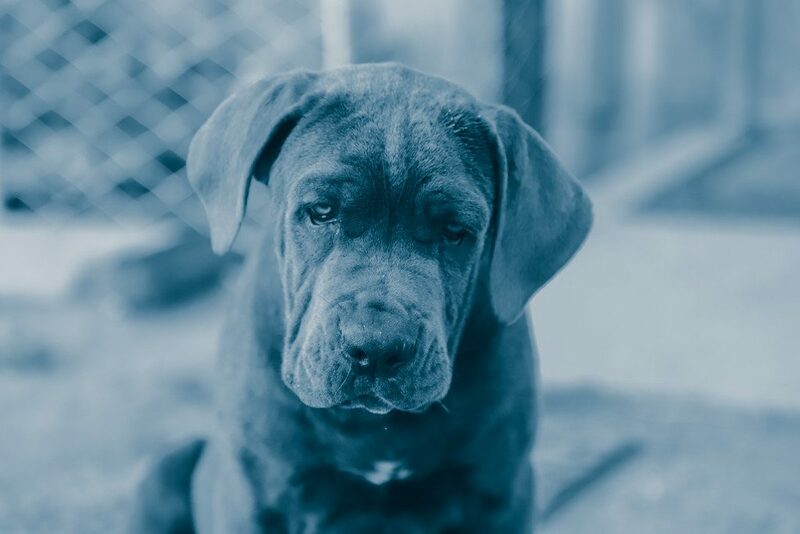 A dying dog will tend to lose interest in what’s going on really quickly – this may be family members that are loved, favourite toys and treats, or going for walks. A loss of attachment will be shown – and that doesn’t indicate your dog loves you any less – it’s just something quite uncontrollable near the end due to brain functions slowly starting to shut down. Your dog may become increasingly unsteady on his feet and have difficulty moving from one place to another. Physical weakness and impaired brain function will account for these factors – a sudden lack of co-ordination may be due to an ear infection which is treatable by your vet. Balance issues can stem from an underlying disease or impairment that is a sign that your dog may be dying. The signs a dog is dying of old age may be shown by a great decrease in activity levels – often lying around all day without moving to another spot. This place is chosen for its seclusion and will be away from everyone – if your dog is still moving around but just more slowly, this may just be a signal that your dog is getting older and not necessarily dying. No appetite for eating food and no appetite to drink water are two important signs. This behaviour is due to the gradual shutting down of the digestive system – as well as the kidneys and the liver. Slight decreases in food intake are relative to your dog getting older and as long as eating and drinking is regular there should be no cause for alarm – a worrying decreased appetite will be accompanied by visible weigh loss. The progressive loss of bodily functions is another indicator that your dog may be dying. He may be too weak to get up – and the loss of muscle control to the bladder will cause your dog to urinate where he lies. This is another signal that your dog’s internal organs are shutting down. It’s important to regularly move and clean your dog so he doesn’t become sore. 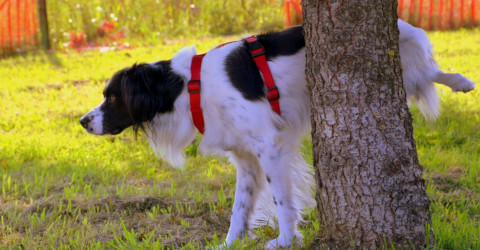 A dog that’s dying will have incredible difficulty in controlling their bowel movements – so when your dog needs to defecate it will happen no matter where he is – nursing is crucial to prevent sores from lying in a soiled bed and to keep him warm and dry. You may tell yourself my dog is dying when you notice that he’s finding it incredibly difficult to breathe – and the breathing itself is shallow taking a longer time between one full inhale and exhale and the next. This uneven display of laboured breathing can indicate the end is quite near. Twitching and shaking are involuntary responses which may cause your dog to become extremely cold as body temperature begins to drop – you can provide a heating pad for extra warmth. These tremors and spasms are caused by a lack of food in the system that decreases blood glucose levels – and the lack of water causes dehydration. You may also notice that the quality and condition of the skin gets worse and can become very dry. The gums of a dying dog will become very visibly pale – not the pink colour that indicates healthy gums. A visit to your local vets will ensure that tests are conducted and you can ask is my dog dying or just sick? Your vet will be able to tell you if your suspicions are true or if there’s an underlying cause where treatment can be prescribed. Coping with the impending loss of your dog is one of the most difficult experiences you’ll ever have to face. As your dog’s health worsens it’s important to choose whether to continue to care for your dog at home with vet supervision – or decide on gently putting your dog to sleep. You’ll need to consult with your vet on how to minimise pain and any distress. You may be offered a personalised care plan to keep your dog comfortable based on your dog’s needs – medications for pain management, liquid diets, and scheduled vets visits will all be included to preserve quality and dignity. If you’re undecided you’ll need to look at the list of signs that your dog is displaying that indicates the outlook is more serious. You need to stay calm – dogs are extremely sensitive to human emotions and will pick up on your stress and anxiety. You need to find everything in your power to be a soothing force to prevent causing any more emotional trauma. The once your decision is made you can prepare for the end together. Home visits from Cloud 9 Vets can easily be arranged – and here you’ll be able to discuss how to make the last days of your dog as pain-free as possible. End-of-life practitioners know the correct medications and palliative treatments to make sure your dog is spared any unnecessary suffering. Gentle dog euthanasia at home will ensure your best friend will pass peacefully in their home, surrounded by the family that they loved. Once you’ve said goodbye the healing can begin – you’ll need a lot of help to get you through the grieving process – don’t be afraid to ask for support from family, friends, pet-loss hotlines and online forums.